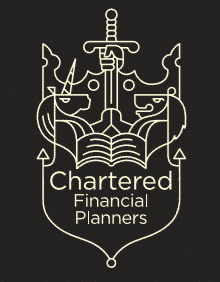 Delivered by Chadwicks financial experts & specialists, Chadwicks holds seminars for employees of a wide range of organisations throughout North West England, North Wales and more recently London and the surrounding areas. Our aim, to help support employers to provide their staff with workplace financial education. Our clients include BAE Systems and numerous universities, local authorities and education departments. We provide seminars free of charge as they offer a positive, friendly environment in which we can meet new people and increase awareness of the importance of financial planning. We have found the ideal number of delegates to be between 10 and 30 people. Our most popular seminar is a one-day event for employees approaching retirement. This prepares delegates for the consequences of retirement, particularly from a financial perspective. It enables your staff to gain knowledge and confidence when making plans for their retirement. Seminars can be held at your premises, or at a conveniently-located hotel. The choice is yours. Examining finances at the mid-career stage can give enough time to make a dramatic difference to future financial wellbeing. Our mid-career seminars are designed to fill this gap and are increasingly used by employers concerned with the welfare of their staff. They provide a short but relevant introduction to employees on planning their financial affairs. It lasts for just two hours and is usually held on-site at your premises, giving minimal disruption to the working day. Significant reductions in pension lifetime and annual allowances mean high earners may be faced with penal tax changes as they build up and take their pension benefits. Our two hour seminars outline the issues around the allowances and how they interact with pension arrangements. We use real life examples to illustrate how tax may apply to pension surveys and consider various planning options. Chadwicks have been providing Wigan Council with Pre Retirement Seminars, free of charge, since 2010. They organise everything for us, all we have to do is send along the delegates. The service they provide is exemplary and professional, yet friendly and approachable. The feed back we get from our staff who attend one of these seminars is always excellent and very positive. They all comment on how very informative and helpful the content of the sessions are and all really enjoy the ‘Health in Retirement’ section. Chadwicks delivered four financial planning sessions for our staff who were leaving the company on voluntary redundancy. The sessions were extremely well received and staff appreciated the variety of speakers, including speakers from LGPS, and the quality of information provided. They made a rather dry topic lively and interesting. The sessions were impartial and staff did not feel pressured to take up Chadwick’s financial planning services. We would certainly use Chadwicks to deliver financial planning workshops for our staff again. Interested in Seminars from Chadwicks?